The artist FOOX will be signing at our NYCC Booth 876 on Friday Oct. 14th at 4pm alongside fellow New York artist Nasty Neil. Foox will be bringing in a gang of cool stuff to sell at our booth, including Organ Donors mini figures, Organ Donors keychains, prints, t-shirts, and even one of the FOLLOW Rabbit glass bars! Stickers and cards will be given out for free. 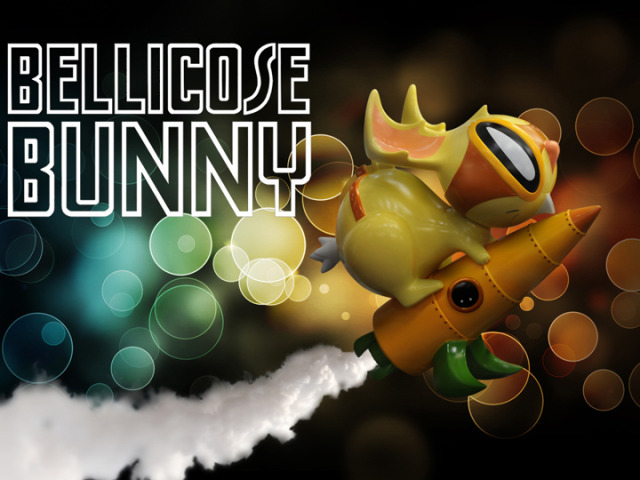 Artist Nathan Hamill will be at our NYCC Booth 876 at 2:30pm, Sunday Oct 16th, to sign his just-released Bellicose Bunny figures! 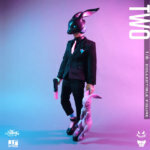 Stands 7 inches tall, made of vinyl. $50 each, limited to 200 pieces. Spanky Stokes signing NYCC Exclusive Borracho figures at our booth! 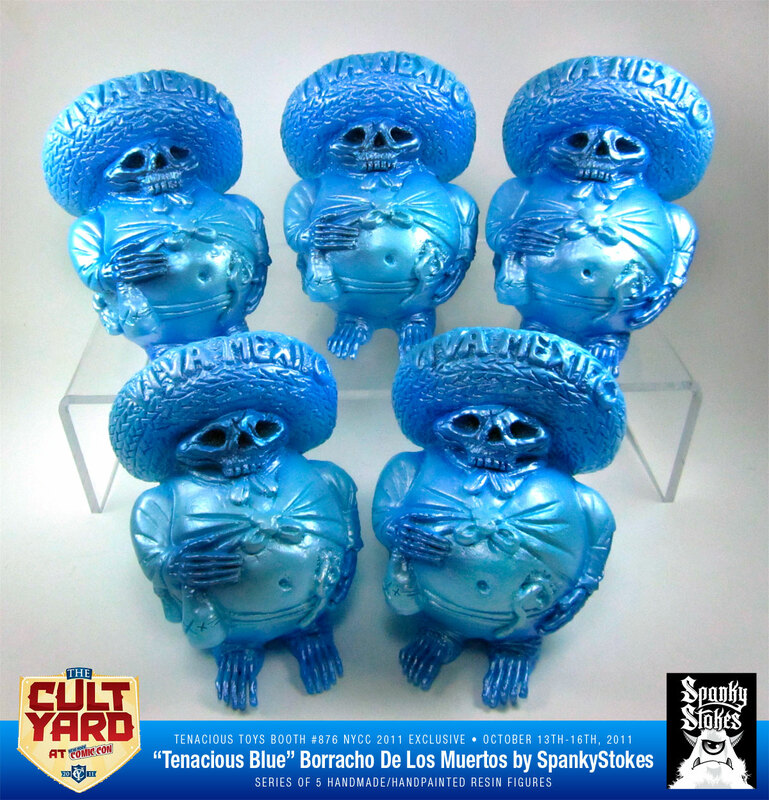 My brother from another mother, John "Spanky" Stokes, will be on hand at the Tenacious Toys x Toy2R booth on Sunday October 16th at 12:30PM to meet and greet and sign the exclusive resin figures he poured for us: the NYCC Exclusive Tenacious Blue Borracho de los Muertos figures! 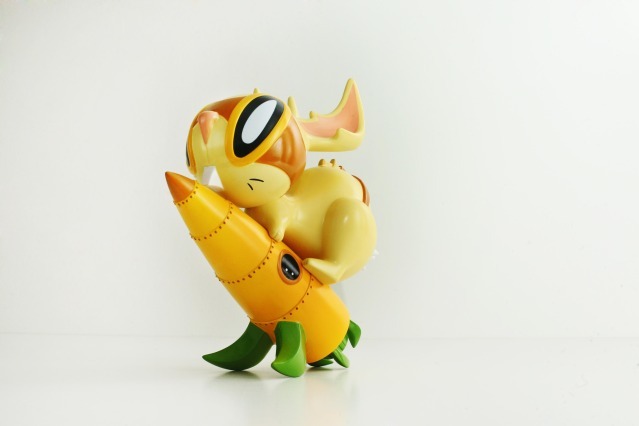 If you have been collecting toys for more than 2 days, you've probably read an article or 2 on SpankyStokes.com. This is your chance to meet the big lug in person at NYCC! Get something signed, buy one of his figures, tell Spanky you appreciate all the hard work he puts into his blog and all the support he gives our industry. Booth 876, 12:30PM on Sunday. announced a special NYCC run of his resin "Borracho De Los Muertos"
figures in an edition he is calling "Tenacious Blue". These measure 6"
during the convention for $65 a piece.